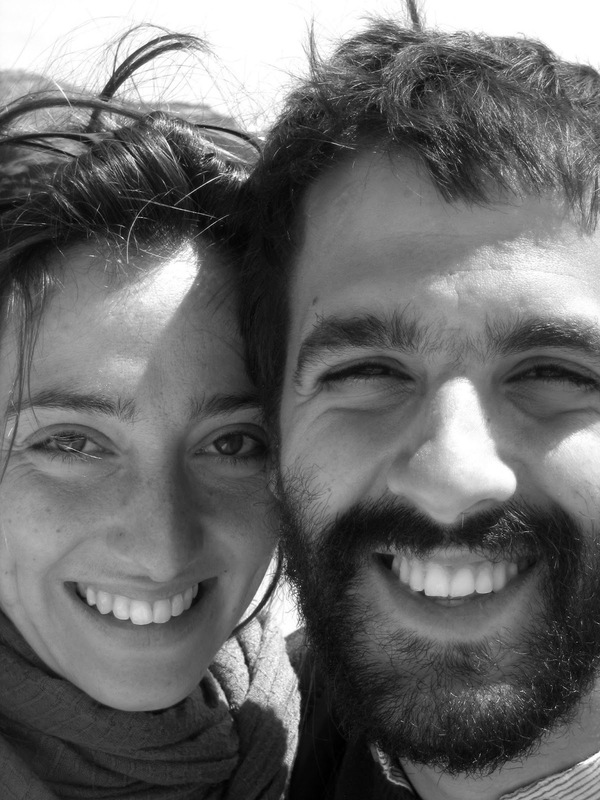 We are Jose (30) from Madrid and Athena (29) from Crete, the artists of "The Wandering Workshop". After small wanderings in Spain, Crete and Cyclades, we live in Ios where we have our workshop and we make wooden toys. The third member of the workshop is Charlie (6), our white Catalan cat who has a very important post in the workshop: he is responsible for the production control. How long does your shop exist? We began to making toys two years ago in Tzia, where we lived and worked. We published our toys on the internet seven months ago and it's been only a month since we opened our Etsy shop. We design and manufacture wooden toys using children safe and environment friendly materials. 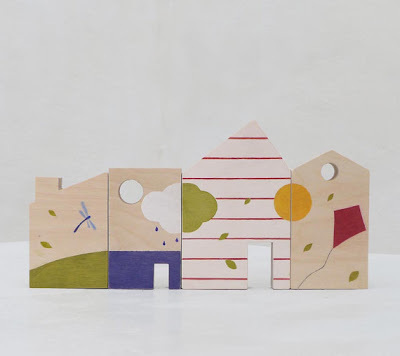 One characteristic of our toys is the possibility to be assembled by the children without the use of tools due to a system of wooden connections. This gives to our toys an educational value which works additionaly to the importance we give to the factor of imagination of the toy. Our toys are only sold online. What are your studies and previous works? Athena: I studied archeology and work as an archeologist in Cyclades. I have no special studies as far as it concerns design and toy making. Jose: I studied sculpting in Madrid and afτer that art conservation and restoration in Barcelona. I worked in Barcelona in the field of study and application of new materials on the conservation and copy of murals. In Greece I work as an excavation designer . Both of us in certain steps of the process of design, making and promotion of our toys we learn by ourselves. We study, dedicate a lot of time and work a lot so that we have a certain self-sufficiency from the moment of the conception of the idea for a toy to its presentation and promotion. Athena: Living in Cyclades is a dream I had. Since I was little I wanted to be an archeologist and live in the islands of Cyclades. Before Ios some years in Tzia preceded where the idea of "TheWandering Worksop" was born. We moved to Ios because an opportunity occured for me to work in a very interesting prehistorical excavation, a settlement of the begining of the Era of Copper which is saved in excellent condition. So we packed our belongings and together with Charlie and our toys we departed for Ios, a really beautiful island. Do you remember your first, non professional, creation? Jose: When I was 10 I made a chess of cork with carved pions, my first big project! Athena: I don't remember my very first. Since I was little we made a lot of handmade things with my mother, it was a daily activity. After that we hang it on a board in the house, the first exhibitional space for my works for which I was very proud! Which is your favorite style in home decor and clothes? We believe that a house should be a comfortable place to live, which reflects the tastes, interests and experiences of his inhabitants. That's why we love houses that have stories to tell and are full of small treasures such as books, music, objects from travels, gifts from friends and indispensably ... pretty coffee mugs! We couldn't determine a specific home decor style and definetely not a style imposed by fashion. We like wood a lot and natural materials in general which create a warm ambience in the house. 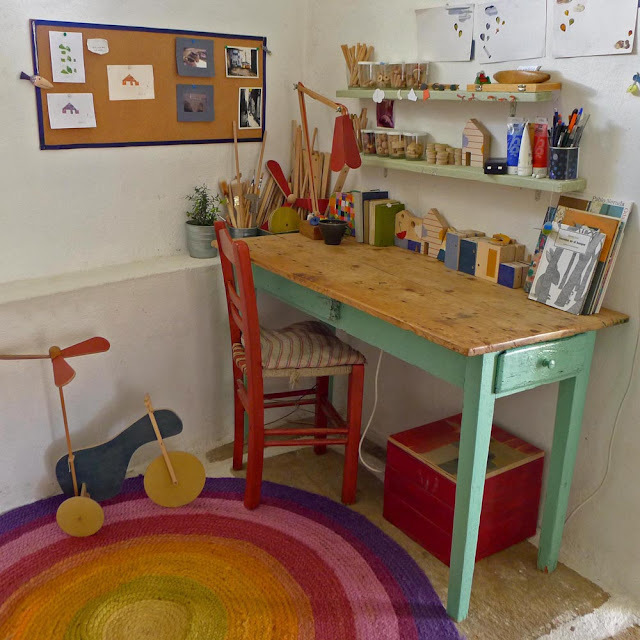 We like using in our daily life handmade objects, made and chosen with love. As far as it concerns how we dress, we like clothes that make us feel comfortable, be ourselves. We like elegant but understated clothing. Do you have a tip to uplift your space on a budget? How is it like to have a small business in Greece today, especially being away from the centre? We are still new and don't see ourselves as businessmen. Given the current situation in Greece, the circumstances are not favorable. However this reality makes us pursue the realization of our dream consistently. On the other hand, we now have more possibilities and tools that allow us to participate in broader networks outside of Greece more easily than some years ago. The fact that we have our workshop in such remote place has some practical difficulties such as the access to materials and bigger cost because of transportation fees. However it offers a very good quality of living and time, which are necessary to be creative. What do you like most about your work and what you detest? We like every step of the creative process. Begining from an idea, a design which we don't know where it will lead us after a few days of work... We enjoy a lot making from start a toy which has something from us, from our world...We also like a lot the part of communicating with people to promote our work. Maybe because we live in a small place, it satisfies our need for social contact. What is outside our temperament and tires us a little is everything that has to do with bureaucratic procedures. The pros and cons of having an online shop? Until now we have a small experience, it is not a long time since we began. However in this phase it 's a formula that works well for us. It allows us to dedicate a lot of time to our workshop, to the design of new toys and the production and despite the fact that we live in a remote place we don't feel secluded at all. 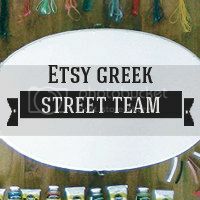 Do you think that people in Greece value handmade objects? What would you say to someone in order to persuade him to buy one of your handmade toys instead of a cheaper mass produced toy? 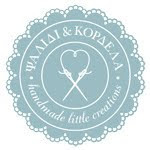 We believe that in Greece people value handmade objects more and more. I don't think we would even try to persuade someone to buy a handmade toy. This usually works like love at first sight.You see it and you fall in love! You want to have it in your space, use it, give it to someone you love. Handmade objects are unique. They carrie something from the crafter, something from his moment of creation. In regard to massively produced objects, the consumer doesn't know in what environment they were made, in what conditions those that are implemented in the productive procedure work, and what is the impact of the production in the environment. A handmade object has identity, personality and a story to tell. We would like to create gradually a larger toy collection and see our toys be sold in places we like. We think that it is important to find our target group, which will be interested systematically in following the journey of the workshop and will be willing to put our toys in their personal space. We like traveling a lot and so we woul like to combine our work with travels. And since we talk about dreams... ours include a big sunny workshop in front of the sea with lots of tools, supplies, toys and favorite music! Estos chavales están hechos de una madera especial..como sus juguetes. They are very talented and special! Wooden toys are very rare these days, I hope they will spread joy and beauty in the world for many years to come! Tina, thank you very much for offering us the oportunity to present our toys, our studio, our world...! Thank you very much all of you for your comments!